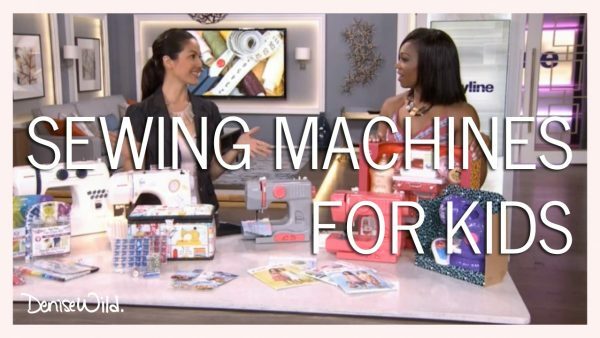 I showed Tracy Moore and the CityLine audience the basic sewing supplies everyone should have plus some super cool gadgets you might want to add to your sewing wish list. So the last time you were here, we had some fun. Yes. I had you sewing. Thanks. Thanks, Denise. Yeah, I did a really great job. Let’s talk a little about the sewing tools now– where are my sewers in the audience? Do people sew out there? Okay, so we’ve got some out there. Excellent, excellent. 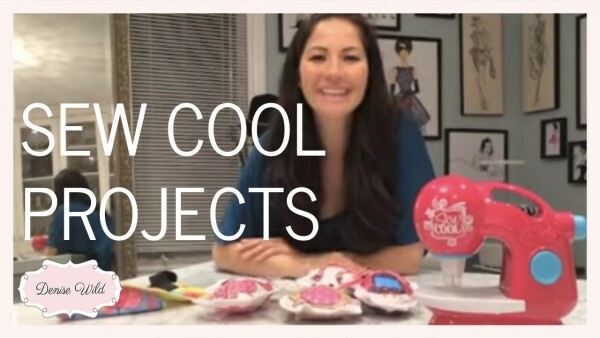 It’s a very cool thing. I mean people have been sewing for ages now, obviously, but now – I mean, I know, you have a hot studio happening in New York right now. A lot – there are a lot of young people that are getting into sewing again, right. Lots of young people. And what a lot of people have is a sewing kit that’s been in their basement. It belonged to their mom. And so we wanted to talk about the basic sewing tools that you should have. Plus some really neat gadget stuff. Okay, so let’s – where do we start? Do you want to start with these? Let’s start here with the pins and the pin cushions. Pins. They come in, you know, just your regular standard dressmaking pins. I know. This is my favorite. Can we show them this one? I love that. She just takes them out of her wrist. —it’s the wrist cushion. Wherever you go, ironing board to your sewing machine, it’s always here with you. You have this standard tomato, which everyone sees. Everyone knows. So, your pins: they can have glass heads, they can have plastic heads, and you can also get little designs on them. And then we’ve got a magnetic pin cushion, which is super handy. And then if anything like this ever happens. Then you can easily pick it up, but you have to use the other side. You know, even I was thinking, ‘I can’t get this wrong.’ Yes, I can. I got it wrong. So cool. Yeah. That’s really handy to have around. And it grabs your scissors too. So, then you want to have a stitch ripper, which is kind of our thread eraser. —but it works really well. It just has a larger blade. This one is kind of top-of-the-line. It’s got an ergonomic handle. It won’t roll when you’ve got it on your sewing table. Do you have a favourite? With these? You know what? I love the standard. I always love to hear that, when the standard one works just as well as any other. Okay, so this is thread. I got that one right. You know what? It’s very important to invest in your thread. —been sitting in your basement forever. It’s really important the quality of it. 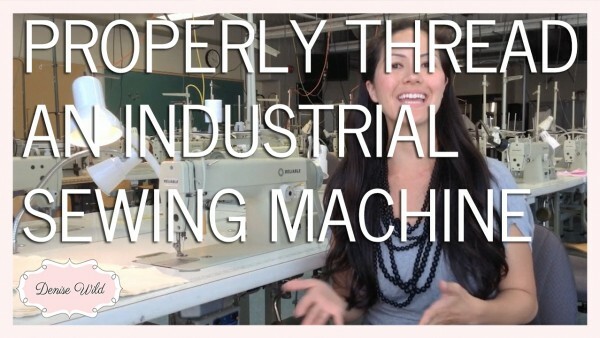 If you have thread that’s old, if you have it – that it’s kind of fuzzy and knotted up, then it’s going to rip in your sewing machine and it’s going to break. And you’ll think it’s you, when it’s actually your thread. So those big huge discount cones; don’t use them in your sewing machine. Same thing with things that have been in your basement forever. Okay, but is this like nail polish? Does it get old and you have to throw it out? I mean, it’ll last for a long time. Okay, fine. Alright, I’m sold. Got it. So now we’ve got a measuring tape. Yes. Flexible measuring tape, something that you’ll use when we’re doing our least favorite part of sewing: measuring our bodies. You can have the standard measuring tape. You can also get one in fiberglass that isn’t going to stretch out over time. —so you won’t lose it. And then we have– this tool is called a sewing gauge. 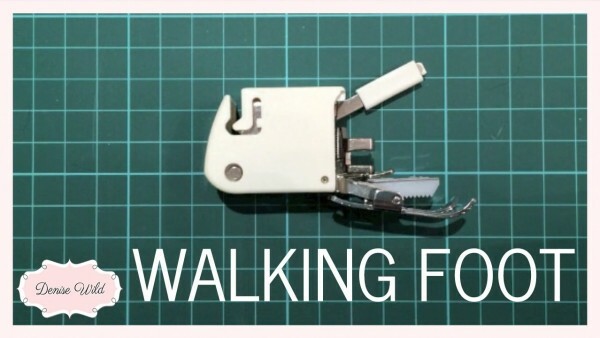 It’s a really great sewing measuring tool. Very handy. It has a little slider so you pick your standard measurement and you measure it along a large piece of fabric; like a hem or something like that. Now, the real sewers know all of this stuff. If you are just starting out, are – is this stuff- is it all essential? It’s all essential? You need it? Consider it, you know, like your tool kit for your clothes. And where do you get all of this stuff? So, Queen Street, that’s here in Toronto. —or your fabric or whatever. —and like Clover. And they all have a different variety of supplies. You can get different tools at different price points. Okay. So this stuff is all – this, like, to write on your material? To just do a little white line. Yes. And then these are some nifty little gadgets. This one has like a little roller. If you want to try rolling that one, it’s going to mark the chalk – oh, the other way. This way. You know, I always do everything backwards. Just like this. Yeah, see. Oh, sewers are making fun of me. It’s easy. It’s easy. It’s easy. Okay, there you go. Yeah. And then we have an invisible marking pen. You write on your fabric right here and then it will fade over time. This one’s like a chalk pencil, but it’s kind of heavy-duty. You click it down. Oh! I’ve a feeling that’s not supposed to happen. And then this – are you sure this is going to disappear? Well, we hope so. You always want to test it on your fabric on a little scrap. I was going to give it a guess, but okay. It’s a marking tool? It’s a marking tool, but instead of drawing a line, you’re going to put a crease. Like a very hard crease in your fabric. So that will definitely disappear – Oh, the other way too. I’m going to get you for a sewing lesson. And it’s not – you don’t have to worry about the chalk possibly not washing out. Is it popular? Are people loving it? Absolutely. Yeah, we’ve got a studio in Toronto. We teach people how to sew and we just opened up in New York in September. We’ve had over a thousand people come through our doors. Give Denise a hand guys. We’re going to break. Stay with us. More coming up. I need a sewing lesson.